Over the past two decades, British equestrian fashion brand Equetech has dressed riders of all ages, sizes and disciplines. Available in sizes 8 – 24 across much of the range, the brand is designed for riders by riders, and with their 25th anniversary this year, they are now looking for real life equestrians to feature in a very special photo shoot to mark this significant business landmark and to celebrate real riders just like you! “We are looking for all shapes and sizes, and you don’t have to be a model, just a passion for riding” Explains Liz Hayman, MD & Designer for the brand. The lucky winners will experience an exclusive studio photo shoot in the UK during the 1st week of September 2017 with the Equetech style team, a top professional hair and make-up artist and award winning photographer in the UK. The lucky winners will feature in the brand’s #equetechrealrider campaign alongside the other winners and receive professional prints from the photo shoot and Equetech clothing vouchers. The results of the campaign will feature across the brand’s digital, social platforms and PR. 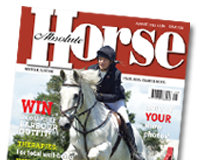 Three winners to be pulled from direct entries and a fourth winner will also be drawn from an exclusive competition running in national magazine Horse & Rider. World Horse Welfare is calling for anyone with information to come forward after three horses have been found dumped on separate occasions in the Swaffham area of Norfolk over the last few weeks. A young colt named Jimmy was the first to be discovered in the Castle Acre area on 1st April, followed by another in Necton a couple of days later and then another young filly, now named Doris, also in Castle Acre on or about 10th April. Jimmy was discovered wandering the roads on the outskirts of Castle Acre, very weak and with terrible diarrhoea most likely caused by worm damage. Even though he received emergency first aid and medical care following his rescue thanks to Redwings Horse Sanctuary, he sadly passed away due to the severity of his condition and neglect. Doris was also suffering from diarrhoea; added to this she was emaciated and had bad rain scald along her back, a skin condition caused by poor care. Whilst Jimmy sadly did not make it, thanks to the expert care and attention received, the other two ponies are both doing well and improving each day. Doris recently travelled to World Horse Welfare’s Hall Farm Rescue and Rehoming Centre where she is now in the charity’s ownership and the other filly is receiving care locally. “This really is a terrible situation of vulnerable horses being dumped when they are extremely poorly and in need of medical care. Whilst Jimmy did have a microchip, this was registered to a past owner and so we are keen to find out who is responsible for these horses and for the appalling acts of abandoning them in this way. Royal Windsor Horse Show is honoured to announce that 2016 Olympic Individual Gold Medallist, Nick Skelton has chosen to officially retire, along with his Olympic horse Big Star, at Royal Windsor Horse Show on Sunday 14th May 2017. A true legend of the sport, Nick Skelton’s show jumping career has spanned four decades and includes seven Olympic Games and 20 championship medals. Since his first international championship in 1973, Skelton has consistently remained at the top of his game with the ultimate highlight being his most recent success at the 2016 Olympic Games in Rio, where he secured an Individual Gold Medal with his stallion Big Star. Skelton has also been credited with one of the greatest comebacks of all time after a fall in 2000 left him with serious injuries, including a broken neck, and forced him into early retirement. However, Skelton defied the odds to recover and made a courageous decision to start competing again. Skelton’s story captured the hearts of those who witnessed his victory at the Olympics, with the tear-jerking gold medal podium moment voted one of the highlights of the Games. The British public showed their support and respect for Skelton’s achievement by voting for him to take third place in the 2016 BBC Sports Personality of the Year. Big Star, owned by Gary and Beverley Widdowson, has been partnered by Skelton since he was bought as a five-year-old. Big Star has helped Skelton to win two Olympic Gold Medals, numerous major Grand Prix titles and consistently delivered clear rounds for Great Britain in Nations Cup competitions. The fourteen-year-old stallion will be officially retired on the Sunday of Royal Windsor Horse Show in the Castle Arena in front of HM The Queen. 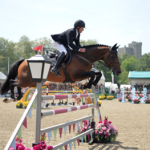 Royal Windsor Horse Show, Show Director, Simon Brooks-Ward spoke of the decision; “Nick Skelton is not only a legend of equestrian sport but of the whole sporting world. What he has achieved in his career is remarkable and we are honoured he has chosen Royal Windsor Horse Show as the place to officially retire along with Big Star.